We take a break in the production of my autumnal Roxanne to bring you.... Ta-da! Disco Peppa Pig!!!! M's BFF's birthday party kind of crept up on me and I realised very late in the piece the directive to come dressed as your favourite character. I must admit that M wanted to go as some kind of over-the-top sparkly fairy, but seriously, there wasn't time. I was able to negotiate Peppa Pig, who M is completely obsessed with (along with every other child under the age of 5), but on the provisio that she "sparkle". And so Disco Peppa Pig was born. Now you know that attention to detail is the disease of the modern sewist when you strongly consider Frenching the seams on your child's dress up costume. I did manage to fight the urge, but I have to admit to fully lining the dress with bemsilk. I defend that move however as the outer fabric, a very sequinny stretch dance fabric, was in fact a little transparent. Peppa has her modesty you know. I also whipped up some ears and a snout! 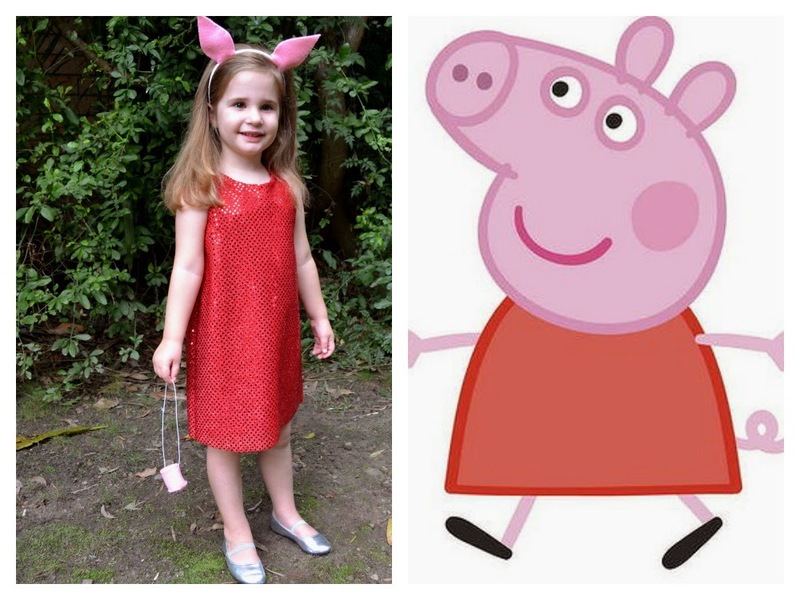 The ears are a little more bovine than the Peppa of cartoon fame, and are glued to a pink headband and then hand-stitched (no less) around the edges. The snout was easy to make, but was not a complete success - it kind of smooshed up when worn with the elastic band over the head and M was more inclined to tote it like a handbag. That's my girl. Cute, what a fantastic idea! Too cute! I love it that she insists on sparkles!